Urban Horse are the UK re-seller of the Cool Heat Horse Rug by Macs Equine. This is the New Improved Latest Version Cool Heat Horse Rug. Available in Various Sizes. The Cool Heat Horse Rug is as close to natural as you can possibly get and perfect for hot horses as the Cool Heat Horse Rug never over heats a horse! 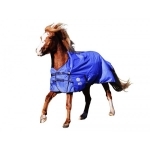 The Cool Heat Horse Rug has a 1200 Denier rip stop outer waterproof sheeting, with an inside cotton and nylon lining with rows of soft flexible plastic insulators attached which lift the rug 12 mm / 1/2 inch up off the horse’s body. Fully adjustable double front buckles with clips. With its unique design the Cool Heat Horse Rug helps keep the rug in one place so reducing the time wasted on straightening rugs. The Cool Heat Rug allows the horse’s natural process of thermal regulation to take place allowing the horse to control its own safe body temperature. So no overheating occurs when you use a Cool Heat Horse Rug. 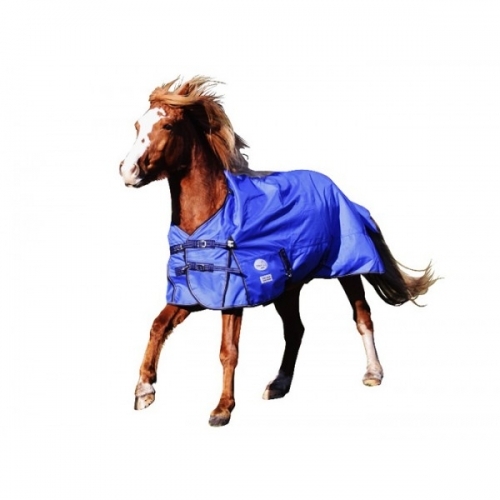 The Cool Heat Rug allows the horse to sweat freely and dry safely underneath the rug because the horse can use its own drying process by using its own hair to wick away the moisture. 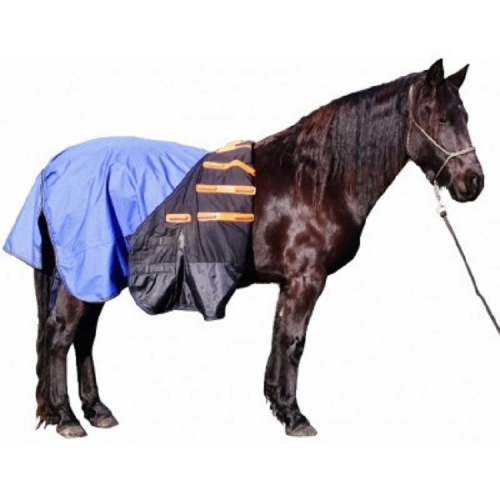 The Cool Heat Rug is the only rug that you can hose down your horse and after scraping and cooling your horse off, you can put the rug directly onto a wet horse. This is because the horse can safely dry under the rug by wicking away the moisture from its coat combined with dissipated body heat circulating under the rug. The Cool Heat Horse Rug is just like a moving shelter protecting the horse from direct wind chill and rain. In most cases the Cool Heat horse rug causes no rubbing, yet horses come in different shapes and sizes, that is where the Cool Heat horse rug can be self-adjusted by unpicking and removing any insulator which may be rubbing. It is simple to unpick an insulator and does not affect the performance of the rug. This allows every type of horse conformation to fit the rug. Also ensure you have the correct size as a size that is too small could cause rubbing. 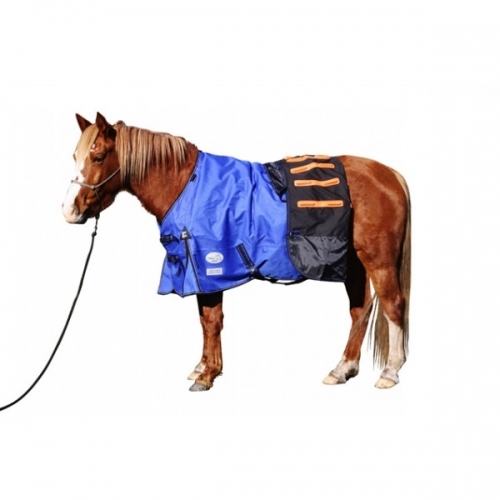 The Cool Heat Rug can also be used on a horse with a thick winter coat, so it can be used when an un rugged horse needs to be rugged occasionally. The only rug a horse would need during Spring, Autumn, Winter and even UK Summer's. The Cool Heat Horse Rug is as next to natural as you can get. Dave the inventor was tired of seeing horses on sunny winter days fully rugged and not moving. “They just looked so uncomfortable” He said. He wanted to solve the problem. 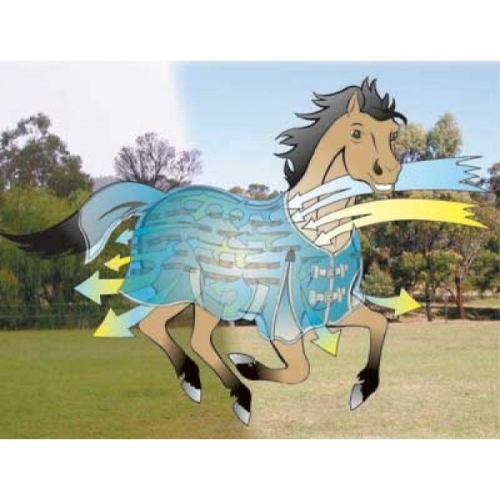 He wanted a solution for these over rugged horses suffering a life of overheating that was damaging their health and wellbeing and that is when the idea came to develop the Cool Heat Horse Rug. A horse’s body temperature is higher than a humans, ranging up to 38.3 Celsius yet it can be higher on a warmer day. A horses own coat is an effective instrument in regulating its own body temperature by the process called Piloerection. This important function is the process of thermal regulation. 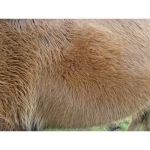 It is the horse's ability to speed up heat loss from the body or increase heat retention using their hair follicles. Each individual hair follicle has a small muscle fiber attached to the base called the "Arrector pili" and a dermal tissue is located on the other end. When the horse feels its body cooling in cold weather the Arrector pili contract all at once and then the hair follicles stand erect. 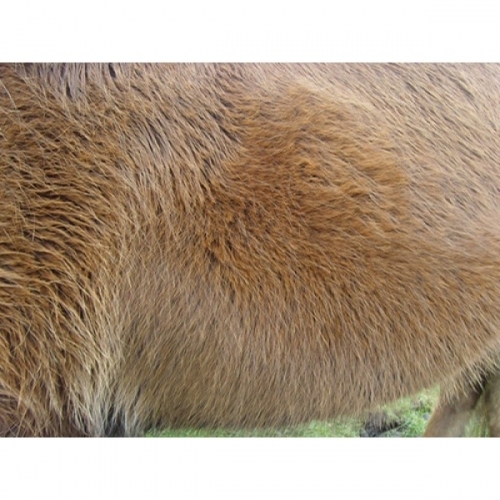 As the heat is dissipating from the body it has to flow through these upright hair follicles which dramatically slows down heat loss and helps to retain the body’s heat against the skin, thus keeping the horse warm. In simple laymen’s terms when the horses hair is raised it traps the heat, keeping the animal warm and when the horse’s hair flattens, it allows the heat to dissipate, keeping the horse cool. Another very important function for thermal regulation is the horse's ability to regulate blood flow from the body's inner core to just under the skin's surface. The horse's blood naturally travels from deep inside the body through arteries and then into dilated blood vessels just below the skin's surface where it is effectively cooled before returning deep inside the inner core of the body. The opposite occurs when the horse is feeling cold. When the horse feels its body temperature starting to drop in cool weather it can constrict these blood vessels just under the skin's surface to prevent it losing rapid heat loss. Small fits approx. 5ft to 5ft6"
Medium fits approx. 5ft9" to 6ft3"
Please note the matching neck covers for the cool heat rugs are only to be used when really necessary such as keeping a horse clean for a show etc as they can interfere with the airflow through the cool heat rug.